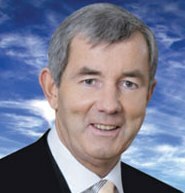 RTE News are reporting a claim from independent TD Michael Lowry that the Government have abandoned their plans to bring forward the annual Pay & File tax deadline to 30 September, as part of the 2011 Finance Bill. This is very welcome news and avoids the nightmare prospect of an entire month being shaved off this year’s tax return season, as I highlighed last Friday. Next Post: Employers’ PRSI Incentive – Boost or Dole Trap? This is also an example of a politician using his leverage to negotiate something of national, as distinct from local or personal interest. Which of course is how it should be. Local issues should be the preserve of the county councillors; Leinster House politicians should be motivated only by national matters. We need to separate the two entirely, in my opinion.